Today I think I'll talk about dorm rooms, yes those little rooms can be made something very special. It is a little space for 50 items and 50 pets and can be made into anything you want. I have some that are themed and some that are mainly for crafting, I even have some that are a simple nice little room to sit in while I am away from the keyboard( afk). Next step to take this simple room to something a bit more would be to add wall paper and floor tiles. 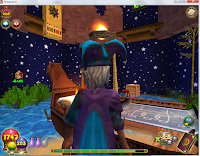 Wizard city furniture shop has some nice looking ones , 3 pages of them!. No need to ever go out of Wizard City yet. 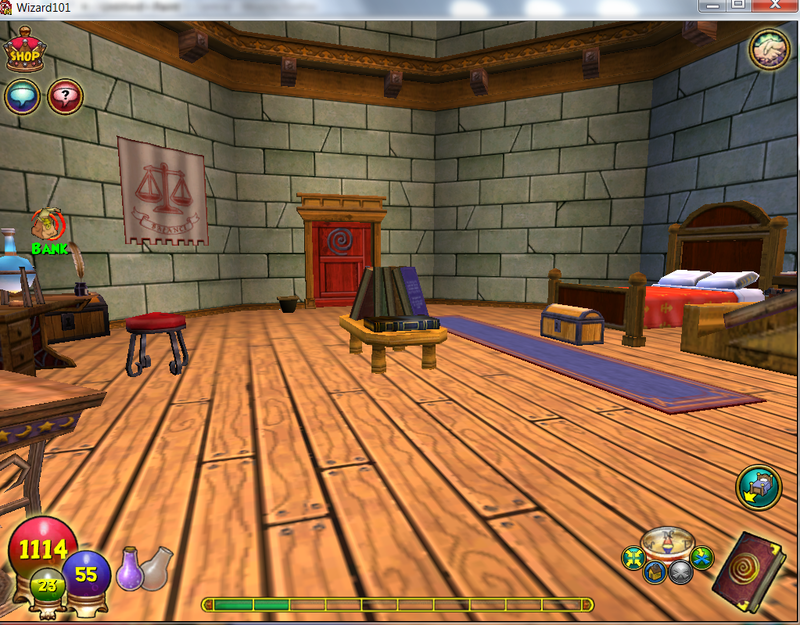 For less than 300 gold I got some really nice flooring and paper, I got some wizardly wall paper and wooden floor tiles. Now look at our dorm room. Picture below. 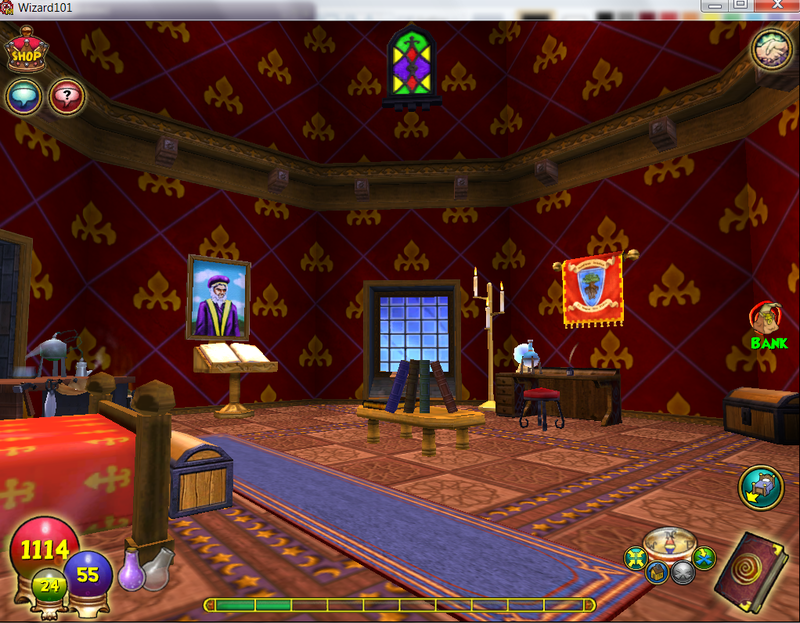 Now I am not one to stay simple , so let me show you a themed dorm. 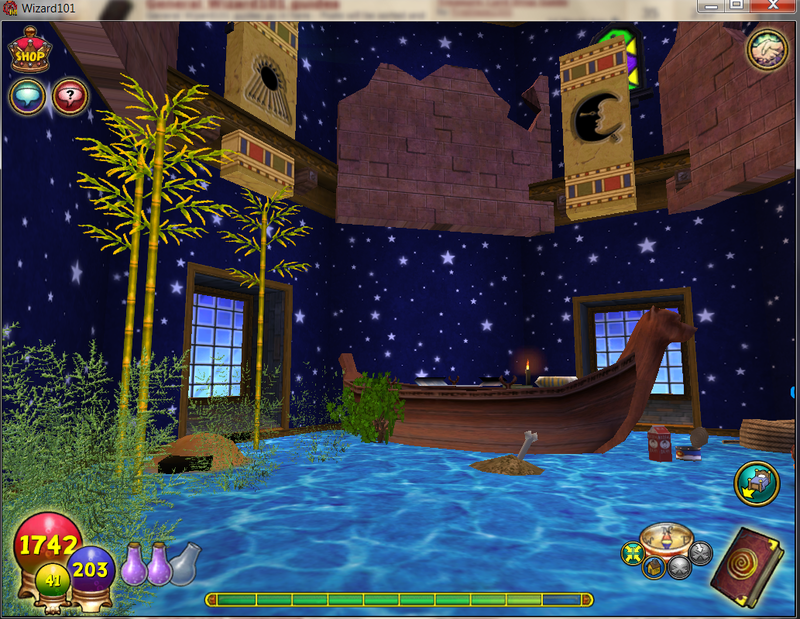 This dorm is based on a water theme ,yet is still a functional dorm, in meaning functional as in school dorm room. 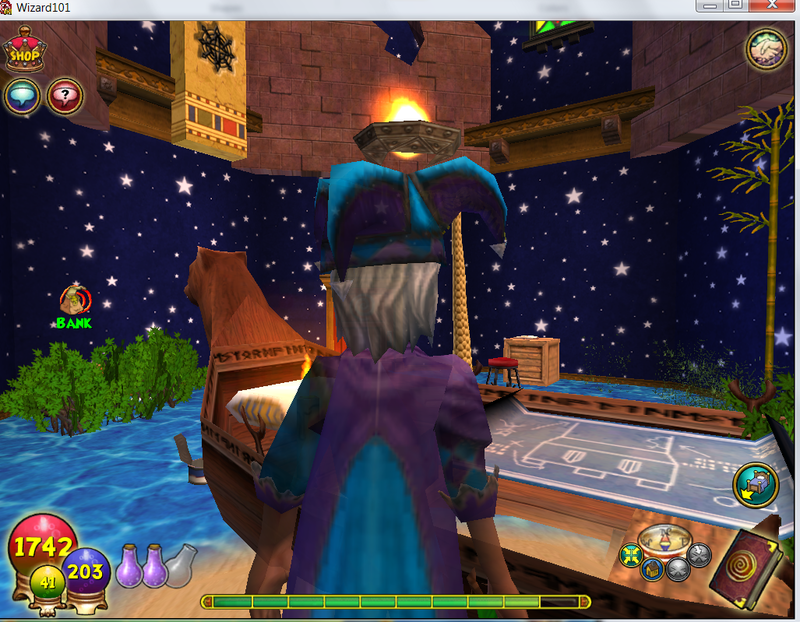 I have a bed , which is the boat, it also allows for reading and studies. Picture below. Now lets talk about detail for themes. In every theme Like this one in the pictures below you need to pay attention to the smallest details. 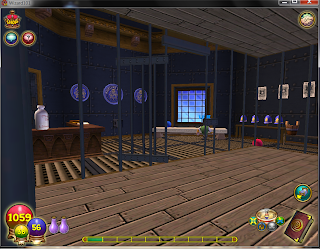 This is my Marleybone Jail, details are very important, along with function, ask yourself does this look like what it should ? Does it function like it would like this place would? As you see details from a cat thug, milk bottle, police desk and much more. Details mean so much when creating a themed image, if the details are not there no one else will see your theme but you. Until next time, happy house decorating.